Many people use medications to control pain associated with inflammation. Although steroids are effective for reducing inflammation, they can cause many adverse side effects. As an alternative, patients may choose to use drugs in a class known as non-steroidal anti-inflammatory drugs, or NSAIDs, to treat minor pain and inflammation. Diclofenac sodium is one of the more popular NSAIDs. NSAIDs are commonly available over the counter or by prescription. Ibuprofen and naproxen are both NSAIDs that are widely available for purchase over the counter. Diclofenac sodium is available by prescription only. Diclofenac is available as an oral tablet or as ophthalmic drops for various inflammatory disorders of the eyes, according to Novartis. All non-steroidal anti-inflammatory drugs -- including diclofenac sodium -- work by inhibiting cyclooxygenase, the enzymes responsible for synthesizing prostaglandins and compounds that cause inflammation, pain and fever. Although available without a prescription, the use of NSAIDs can cause unwanted adverse effects. However, when used appropriately, NSAIDs are an appropriate treatment option for minor inflammation and pain, especially in musculoskeletal injuries, the Cleveland Clinic says. As a non-selective NSAID, diclofenac sodium can inhibit cyclooxygenase in many different areas of the body. However, this includes the stomach and intestines, where NSAIDs can cause problems with gastric ulcers and intestinal bleeding. Selective NSAIDs such as celecoxib may selectively target cyclooxygenase enzymes located at sites of inflammation. Although occasional use of NSAIDs is relatively safe, prolonged use should be carefully monitored by a physician. 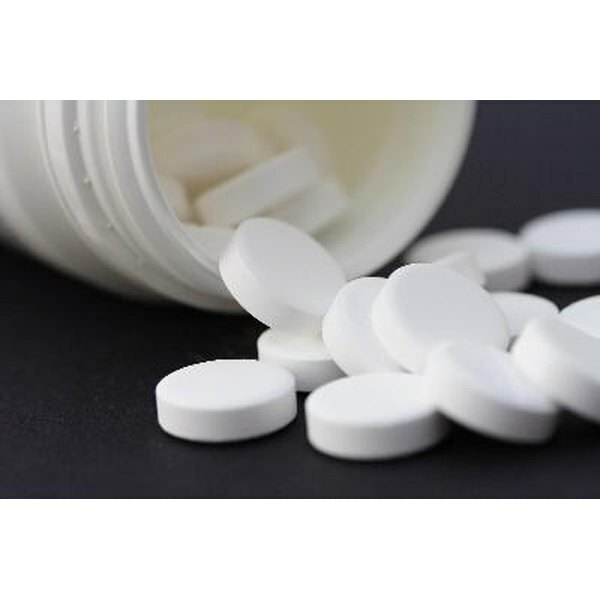 Besides the risk of gastric and intestinal bleeding, NSAIDs can cause liver and kidney dysfunction, as well as bleeding disorders. Patients should speak to a physician with concerns before using non-steroidal anti-inflammatory drugs.